As part of our season of portraiture, the Art Gallery of NSW has partnered with the National Portrait Gallery, London to bring two exceptional 17th-century portraits to Australia. 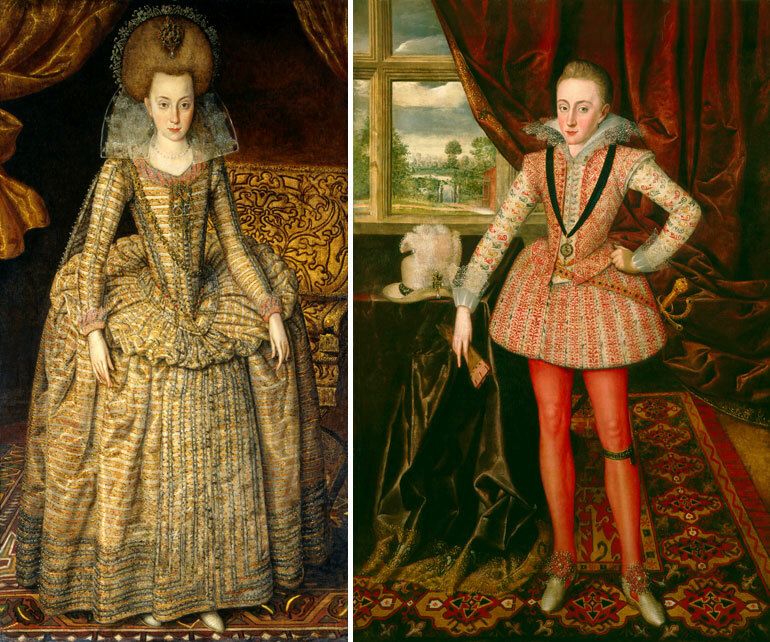 Painted around 1610 by the English court portraitist Robert Peake the Elder (c1551–1619), they depict the two eldest children of King James I of England and VI of Scotland: Henry Frederick, Prince of Wales, aged 16; and Princess Elizabeth, aged 14. These young royals led extraordinary lives. As children, they had been targeted in the famous Gunpowder Plot of 1605, in which Catholic rebels attempted to blow up the Houses of Parliament. Athletic, cultured and handsome, Henry was the heir to the thrones of England and Scotland but died suddenly at 18, devastating the royal family and dashing the nation’s hopes. Elizabeth briefly became Queen of Bohemia – earning her the title 'the winter queen’ – only to live most of her life in exile. Peake’s magnificent portraits not only typify the Jacobean style of portraiture, with lean, stylised figures, jewel-like colouring and dense, decorative patterning; they also convey all the promise invested in Henry and Elizabeth before their premature demise and downfall.